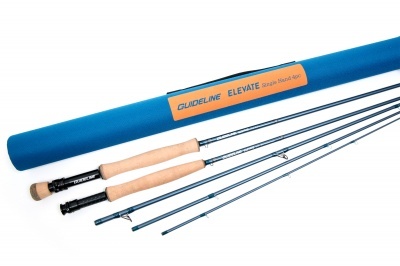 This Is A Complete Range With A Total Of Eighteen Fly Rods Starting With An Ultra-Sweet 7 6 #3 Rod And Finishing With A Powerful, Yet Lightweight 14 8 #10/11 And Covering Everything In Between. The Lighter Single Hand Models Have A Smooth, Powerful Action That Accepts A Wide Variety Of Casting Strokes And Styles. Single-Handed Rods From Line Weight 6 And Up Have Faster And More Charged Actions, Offering A Well Defined Recovery-Kick During The Cast. Custom Designed Grips In 3A Cork Quality Are Assemmbled With Lightweight Reel Seats. The Frames On The Stripping Guides Prevent Excessive Tangling And Add To The Cool Look Of The Rods. Hard Chrome Single Leg Guides As We Find Them Light Strong And Interfering Marginally With The Blank Action. Delivered In A Lightweight Cordura Tube With Rod Sock.